My husband recently returned from his third overseas deployment. We both can say without a doubt that though it was his shortest deployment, it was the hardest since it was his first as a father. 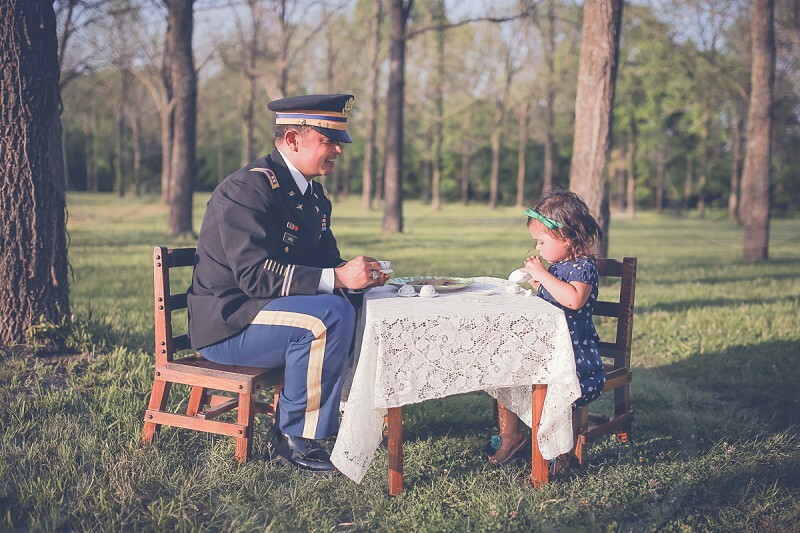 Also, knowing once he returned home that he would soon begin the arduous transition from the military into the civilian world, I knew I needed to capture both his love for service and the special bond he shares with our daughter and thought that a tea party would be perfect!